The Ford Focus is dead in the United States, and that also includes the high-performance Focus RS model. However, the RS engine built in Valencia, Spain is living on in the U.S. thanks to a new variant of the 2020 Ford Mustang. 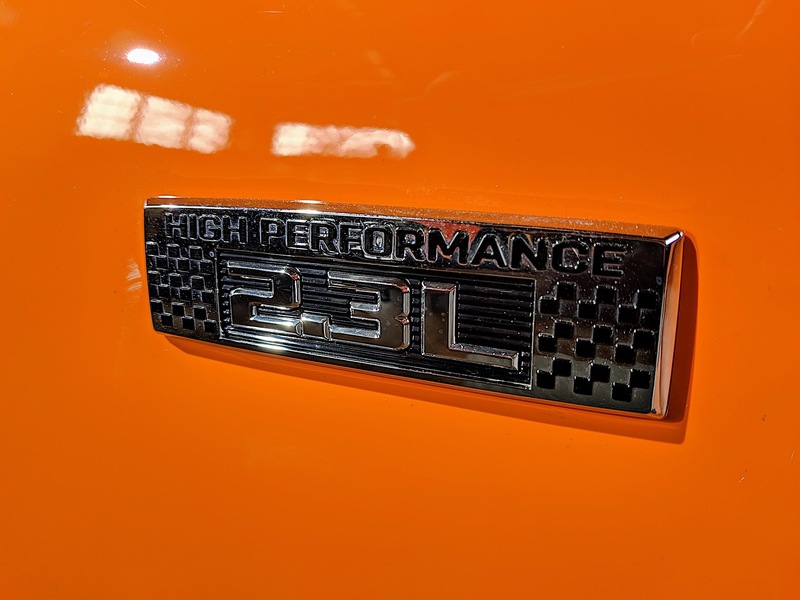 It's called the EcoBoost High Performance Package, and said engine is the heart of the latest entry-level Pony car. 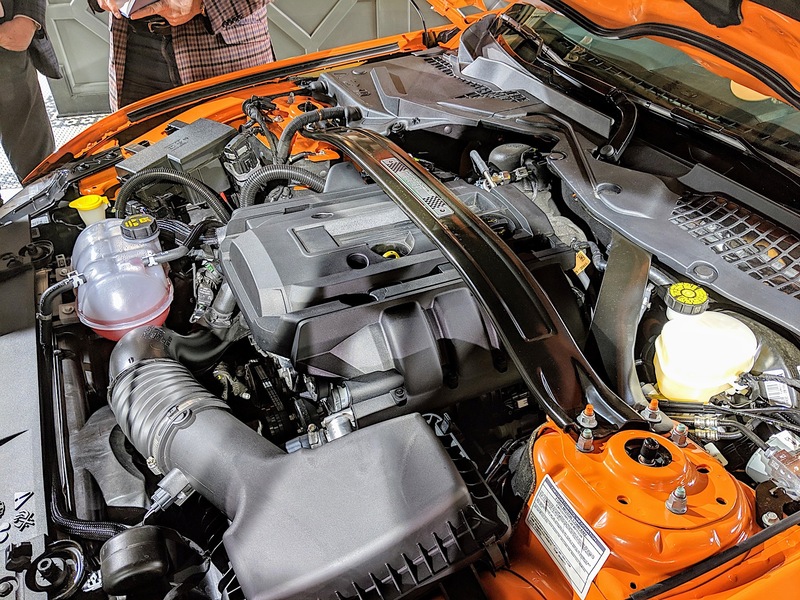 Replacing the performance pack on the Mustang EcoBoost, the High Performance Package gets the updated 2.3-liter high output EcoBoost four-cylinder. In making the conversion from transverse mounting to longitudinal mounting, Ford had to make a few changes. As a result, the engine in the Mustang makes 330 horsepower and 350 pound-feet of torque. 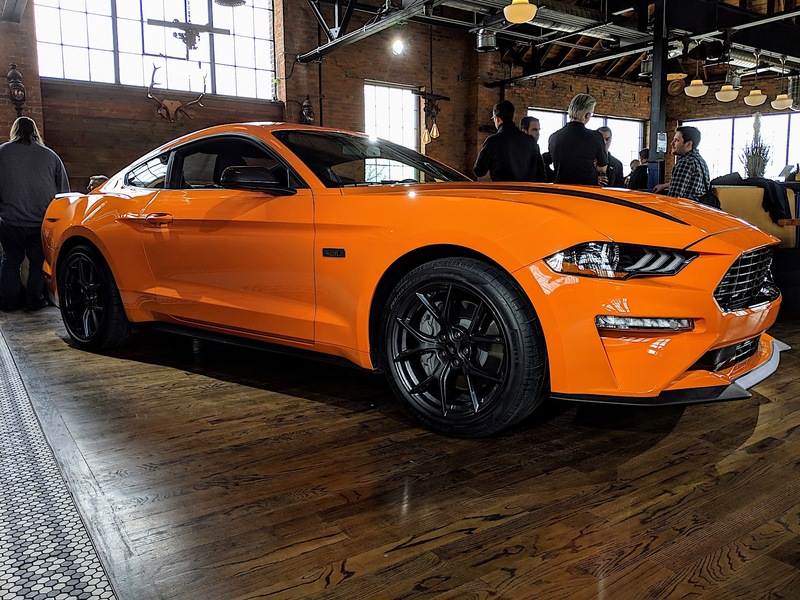 Power is sent exclusively to the rear wheels, because Mustang, and can be had with either a six-speed manual transmission or Ford's 10-speed automatic. The automatic has been tuned specifically for this application, though enthusiasts will still likely opt for the manual. Drivers who prefer the open-air experience will be also able to select the High Performance Package in the Convertible model. 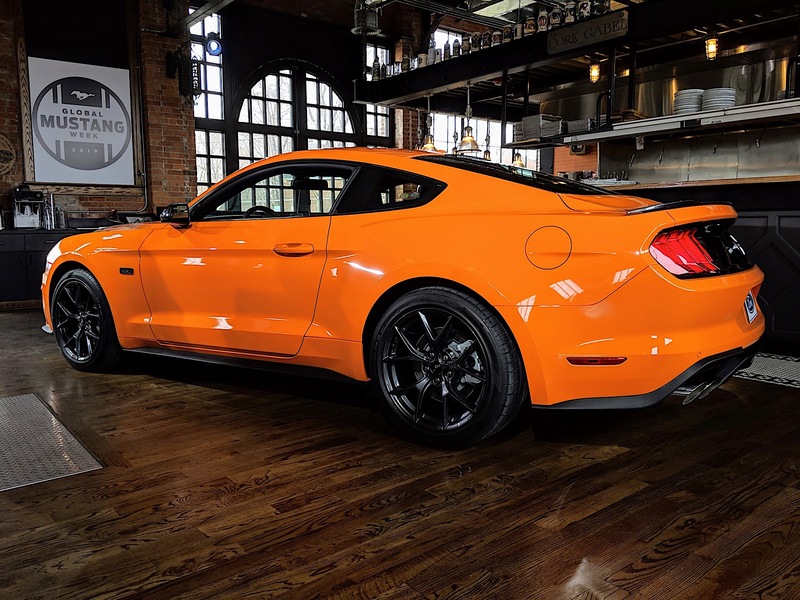 Aerodynamic updates from the Mustang GT and its own Performance Package make its way to the EcoBoost. Those include the brakes from the Mustang GT. A front splitter and rear spoiler assist with downforce. A strut tower brace helps tighten up the steering. There's a 32-millimeter solid sway bar up front and a 24-millimeter unit in the rear. For buyers who opt for the coupe, they can then choose the EcoBoost Handling Package on top of the High Performance Package. That adds MagneRide magnetorheological ride control dampers, upgraded brakes, a Torsen limited-slip, wider tires, and Pirelli P Zero Corsa4 summer tires. Widmann told The Drive that the primary goal was to make speed affordable. While pricing isn't yet released yes, the company is making the package available on base trims with cloth interior. 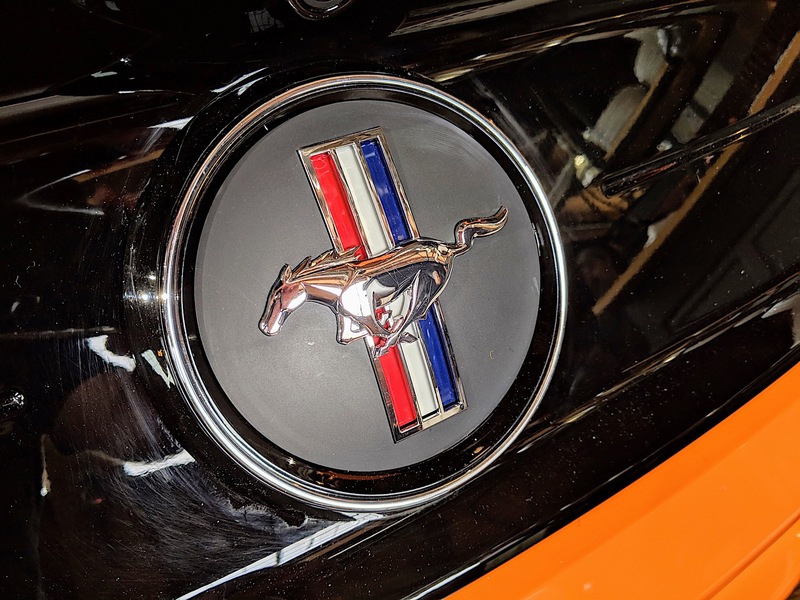 Buyers can select features if they want to, but the hope is to help buyers who want a fun sports car without breaking the bank to look to this Mustang as a viable option. "It's for a back road or an autocross," Widmann said, emphasizing this Mustang is all about handling. 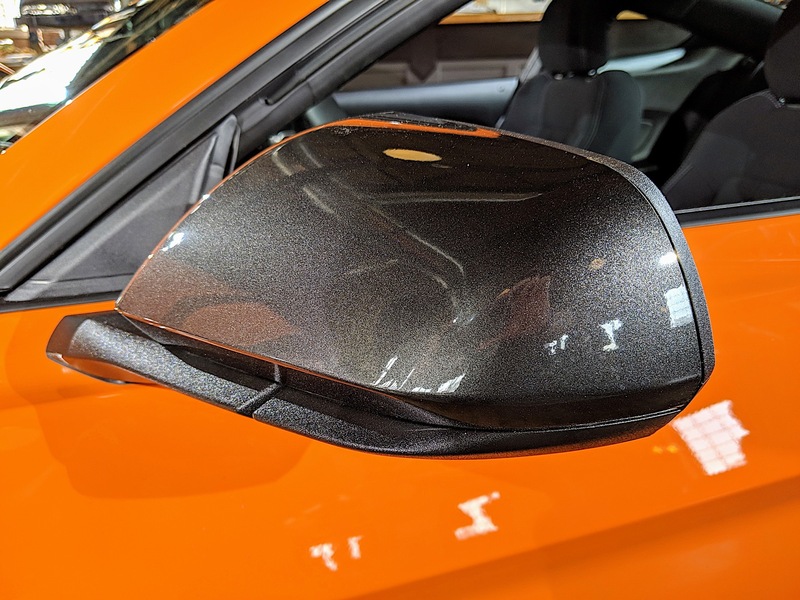 The Mustang EcoBoost High Performance Package will be available in the fall with four new colors, including Grabber Lime, Iconic Silver, Red Hot Metallic Tinted Clearcoat, and Twister Orange.